Below are dozens of videos, articles and tips related to luxury bed linens, sheets and more. Why thread count is almost meaningless! Why Luxury Linens are worth the investment. How to launder and care for Luxury Linens. How to minimize wrinkles in your bed linens when drying them. How to remove wrinkles in your Linens without using an iron. Why do Luxury Linens cost more than department store sheets? Quality linens are not about their thread count, it is about the cotton! A man's guide to bedding. How to remove a permanent wrinkle in your bed sheets. How to make the perfect looking bed. Here is what you should consider when selecting your next set of luxury linens. Why make Luxury Linens in Italy? 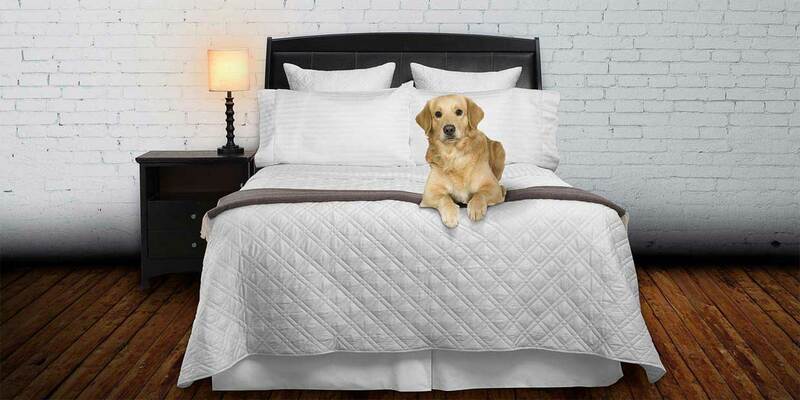 Keeping your luxury linens and bedding clean & allergy free. The different types of fabrics used in Luxury Bed Linens & Sheets. Are your Luxury Bed Linens made from Mercerized cotton - here is why they should be! The difference between Sateen bed linens and Satin. ABC News segment on thread count and what they missed in their report! Do Luxury Linens & Sheets Pill? The different types of weaves used in luxury bed linens. Cotton comes in many grades, here is how they sort the good from bad. How to make your bed like the ones in a 5-star hotel. How to get your yellowed sheets white again. Are Bamboo & Micro-Modal sheets environmentally friendly? No! How to prevent your linens from pilling. Why use both a fitted & flat sheet? The history of Luxury Bed Linens. What is the difference between a King and Cal-King mattress? Caring for Luxury Linens and bedding. Thread Count - what it means (and doesn't mean) in your Luxury Linens & Sheets. Design suggestions for the classic & timeless looking bed. What is the difference between a pillowcase and a sham? See/read more bedding tips here! Didn't see the answer to your question? Feel free to call us (786) 512-3268 or email us with any bedding related questions that you may have, even if is for products that we do not manufacture. Shop for our incredible luxury linens, bedding and more below.